The payroll division is responsible for the issuance of the payroll to employees of the County of El Paso. The division makes payments to over 2,800 employees each payday. It also issues over 3,200 W-2's (Wage and Tax Statement). Any inquires pertaining to the processing of payroll, employee deductions, and pension may be directed to this division. The letters and numbers listed below coordinate with the letters and numbers listed in the boxes of the W-2 form. This includes the County's name, address, and ZIP code. e. Employee's name, address, and ZIP code. This is your name, your last known address, and ZIP code. 1. Wages, tips, other comp. This amount includes all federal taxable income for wages received during calendar year. Taxed deferred annuities, such as Nationwide, and other box 12 amounts have been deducted from the gross wages. Amounts in Box 14, such as County Pension and Dependent Care Account have been deducted from the gross wages. All federal income tax withheld during calendar year. All social security taxable income for wages received during calendar year. All social security taxes withheld during calendar year. This is FICA on your pay stub. All Medicare taxable income for wages received during calendar year. There is no maximum for Medicare taxes. All Medicare taxes withheld from your wages during calendar year. This is MEDICARE on your pay stub. Total amount paid to a 125 cafeteria plan for dependent care. 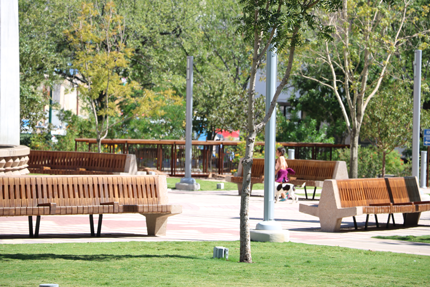 Denotes an active participant, during, in the El Paso County qualified pension plan. Items deducted from the taxable gross and not included in the amount located in Box 1. Amounts such County Pension, Clothing Allowance, and Car Allowance are listed. State and state ID number for El Paso County. 16. State wages, tips, etc. Q. What is the employer's deadline for delivering W-2's to employees? A. The law requires W-2's to be postmarked no later than January 31 to the employee's last known address. Q. How will my W-2 be delivered to me? A. All W-2's are mailed out to the address on file. Terminated employee's W-2's will be mailed out to their last known address. A. Please contact Human Resources Office at (915) 546-2218. Q. How do I get a reprinted copy of my W-2? A. Please stop by the Payroll Department, El Paso County Auditors Office, 800 East Overland, Room 406. The 457 Deferred Compensation Plan is a tax deferred plan that allows you to save and invest today for your retirement. Participation is handled through payroll deduction so your taxes are reduced each pay period. All fulltime county employees are eligible to participate in the plan. Participation may begin at any time during the year. 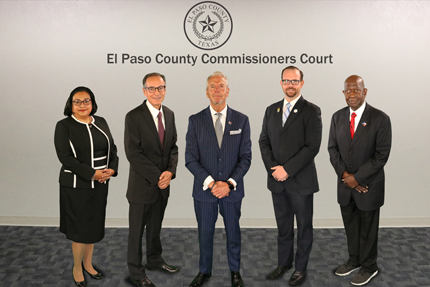 Regular full-time and part-time non-elected employees of El Paso County shall be eligible to use vacation leave with pay after six (6) months of continuous service with the County. Part-time employees accrue at 50% of the full-time rates. All full-time, regular non-elected employees who have completed three (3) months of full time service are eligible to use accrued sick leave with pay. Accrual rate: 3.077 (3.05 minutes) per pay period with a maximum limit of 720 hours. A better way to handle your paycheck. - Eliminates trips to the bank. - No waiting in line at the bank. - Pay deposited every other Friday whether you are on vacation leave, sick leave, or have an unexpected emergency. - No worry about a lost or stolen check. (3) Returning the Direct Deposit Authorization Form to El Paso County Auditors Office, Payroll Division, 800 East Overland, Room 406. Please feel free to contact Payroll, at (915) 546-2040 for additional information. - Due to the time required for payroll and bank processing, allow two to three pay periods for implementation. - You will receive a manual check, which will be mailed out every pay day to the address on file, until the Direct Deposit Authorization Form can be processed. *Approved by County Commissioner's Court on September 12, 2002.